The word "epic" used to only describe the Lord of the Rings trilogy, extreme events like bungee jumping and big wave surfing, and delicious California burritos. From humble beginnings it, much like "swag," spread and now plagues the vast majority of the English speaking world. 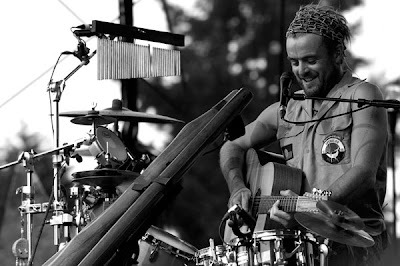 However, there are few words more appropriate to describe today's over 7 minute monster of a jamandahalf from favorite Xavier Rudd. Off of his upcoming album Spirit Bird, this title track is a journey that touches on Rudd's normal themes: environmental issues, Native rights, ancestors. Starting off as mellow as you can get, "Spirit Bird" quickly becomes a moving call to action, with Rudd occupying the pulpit like only he can. The jam can best be described in swathes of words that normally best describe nature: vast, surging, tranquil. Somehow that's very fitting.